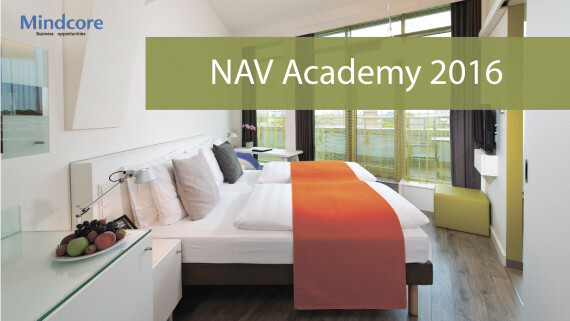 March 16, 2016 in St. Petersburg will be held the new NAV Academy workshop “Perfect hotel business automation” by Mindcore company at the Mindcore and Trainer-IT joint office, Zaozernaya, 8, Office 200. Managers, financial directors, accountants, IT-directors, working in the hotel industry are invited to participate. The event will interest primarily employees of hotels, where is already implemented or planning to implement Microsoft Dynamics NAV accounting system in the nearest future. The event is organized by: Mindcore consulting company and training center Trainer-IT. Traditionally, at the hotel business the computerization of various processes is associated with different software products. How to set up a single system for arrival departure record of visitors, kitchen work and bookkeeping based on the Microsoft Dynamics NAV? What reduces the time for the formation of financial statements, optimizes staff and increases the efficiency of business management? This and many other topics will cover our experts: Olga Matrosova (Mindcore) and Alexander Ermakov (Awara IT Solutions). Consultant and Mindcore leading expert in financial management Olga Matrosova participated in many projects on large hotel chains automation. She has been working over 10 years with Microsoft Dynamics NAV solution. Olga knows how to explain in a nutshell and with simple examples the most complex questions concerning the work of the accounting system. And most importantly, she helps to see the problem and find a solution. Alexander Ermakov – Managing Partner at Awara IT Solutions. He specializes in financial administration, perfectly understands financial and management accounting. Alexander is an expert of the highest level, a regular speaker on the specialized roundtables and seminars. Participation is free after registration! Follow the link and fill in a simple form. 10.30 – 11.00 Microsoft Dynamics NAV 2016. What is new? 11.00 – 11.15 Departments of the hotel and automation programs: one accounting, a lot of programs. How to link them together? General questions about automation and integration. 11.15 – 11.45 The restaurant and the kitchen in the hotel: what financial information can be transferred into Microsoft Dynamics NAV? 11.45 – 12.45 How do hotel begins? What information about the guests’ reception you want to transfer from hotel program to Microsoft Dynamics NAV, and how to use it? 13.30 – 14.45 How to make a transparent financial accounting in a hotel via Microsoft Dynamics NAV? 15:30 – 16:15 1C: The final stop of the financial flow. How to work in Microsoft Dynamics NAV, and to submit regulatory reports in 1C? 16. 15 – 17:30 Roundtable of hotel business. We discuss case studies, problems and difficulties. “Q & A” session. Graduated from the Kazan State University in 1997, majoring in “Engineering-mathematics.” In 2002 she took advanced training in the specialty “Accounting and reporting in insurance organizations” at the Russian Academy of State Service of Moscow. Two years later Olga gained Microsoft Business Solutions Navision Sales Manager certificate. In 2011 – the certificate “Project Management” Bauman MSTU. Graduated from St. Petersburg State University in 2000 with a degree in “Mathematics”. Successfully completed the educational MBA program in University of Nordland (Norway). Also in 2002, he graduated from the master’s program “Management” at the Baltic State Technical University “VOENMEKH” named after DF Ustinov. Hе has completed the training program for auditors at the Ministry of Finance in 2010.